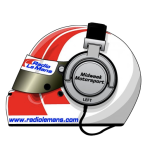 Jim Cameron from Mission Motorsport is this week’s guest, and the usual team are also joined by John Dagys from SpeedTV for a European Le Mans Series Preview. Plus all the usual features. Since 2005 Midweek Motorsport has been the definitive weekly guide to what is happening in the world of motor sport. With a mixture of news, interviews and game shows it will keep you informed and entertained. On the 100th anniversary of the end of World War ..
John Hindhaugh talks to Glickenhaus Motorsport's Jesse Cameron about their ..
John Hindhaugh talks to Doug Niven about the Jim Clark .. The first Mission Motorsport Race of Remembrance, from Anglesey. Race part ..
John Hindhaugh meets James Cameron, and finds out about his ..
John Hindhaugh visits Mission Motorsport on the opening of its ..